Emy Cajipe is the author of the book “Visible Darkness,” a story of her time in her hometown of Hinangutdan, Phillippines, which was devastated by Super Typhoon Haiyan in November 2013. 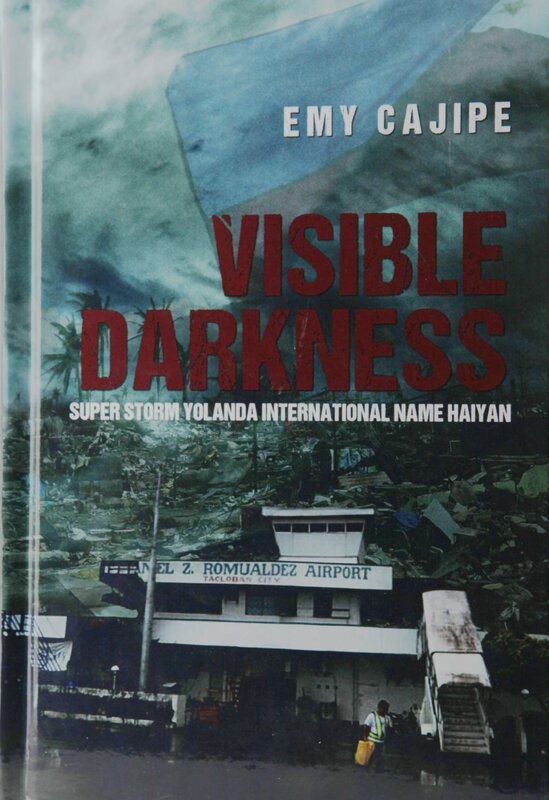 Emy Cajipe's book "Visible Darkness"
Emy Cajipe escaped Super Typhoon Haiyan with her life, but the trauma of her experience stayed with her. "I would wake up in the middle of the night, and I couldn't get back to sleep no matter how I tried," Cajipe said. "So I started jotting down my experiences in my journal." Those journals eventually took the form of "Visible Darkness," her book about surviving the storm, which killed more than 6,300 people in Cajipe's home country of the Philippines. Cajipe, 64, of Rapid City, was visiting her hometown of Hinangutdan for a personal project — the foundation and building of a library in memory of her uncle, Simplicio Mendez Cajipe — in early November 2013 when the storm hit the central Philippines. "No one expected it to be so bad, so my family didn't even pay it much attention," Cajipe said. "Everyone was carefree, and then reality came about." "Reality" was the devastation that the storm wreaked. Cajipe and her extended family survived, but she feared for her life the whole time. "It didn't matter how big the house was, I thought it was going to fall apart," Cajipe said. "All five days we were stuck there was no help, communication was down, there were rumors that the New People's Army would attack, there was looting, everyone was hungry, and there were dead people everywhere. I went for a walk and thought we were the only living people in a tomb." The New People's Army is the military arm of the Communist Party of the Philippines. After five days, Cajipe chose to drive out of the city to safety, but with rationed gas and chaos all around, it was an arduous journey. "We tried to leave the city at 4 p.m. and didn't get out until the next day, and it normally would have taken 20 minutes," Cajipe said. "We didn't even talk. It was so solemn." While in the car, the cold water from the storm would often run inside, and the passengers all feared they would run into the NPA. The whole time, Cajipe's husband, Tim, was in Rapid City and her children in California, all frantically trying to reach her. Five days after the storm first hit, Cajipe knew she needed to leave the city or she would never see her family again. After two days of driving and another three of waiting, Cajipe was able to fly home to Rapid City. Writing served as an escape, and Cajipe said her nightmares about the storm stopped after she finished her book, which she described as a "purging of traumas." She has used the book to bring attention to the rampant inequality and damage caused by the storm in the Philippines. "Many people are getting on with their lives, but the damage is beyond repair and the government is corrupt, taking all of the funds that should have been given to the people who need it," Cajipe said. 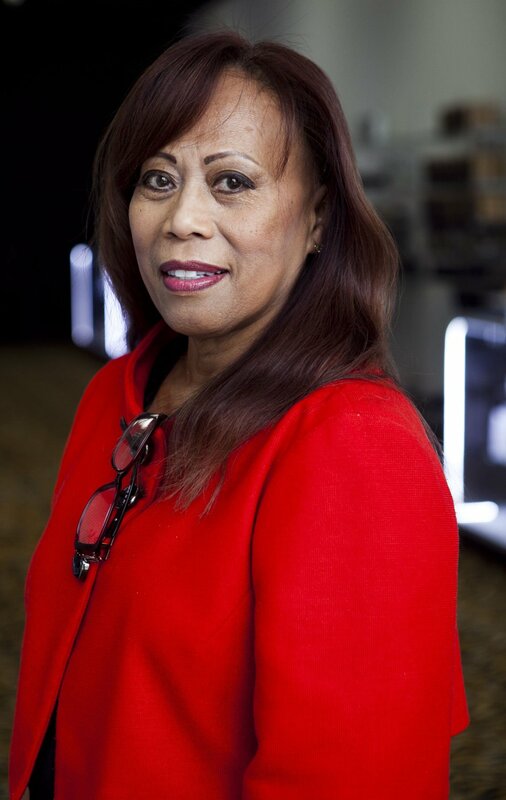 "My hunger for equality and fairness, for poverty awareness pushes me forward." Cajipe is helping in her own way, continuing with the project that brought her back to the Philippines in the first place. "In the Philippines, the only place to find a library is a school, and schools in remote places don't have libraries," Cajipe said. "So I wanted to be helpful to other people. For me, it's important that children can enhance their minds and dream of a good life." She said the library built in memory of her uncle would be ready in the fall. "My friends keep donating books and school supplies," Cajipe said. "I want it to be a resource center, to give them a place to learn something to earn." Cajipe hopes that people who read about her experience come away with a better understanding of the poverty and inequality in the Philippines. "The storm opened everyone's eyes," Cajipe said. "Their eyes are closed now, since it happened a few years ago, so they need to be reopened again." Copies of the book are available at VisibleDarknesstheBook.com.